Some people call the Maldives as a piece of heaven on earth. However, do you know that there is another island in Southeast Asia that resembles the Maldives? It’s the Muslim friendly Sipadan island, Sabah! Think of it as the Maldives but with cheaper holiday costs, better marine life sightings, and with fewer crowds! Would like to know more about this island in Malaysia? Keep on reading! The Muslim friendly Sipadan island – Where is it located? First and foremost, where in the world is Sipadan Island? Well, it is located on the east side of Malaysia on the Borneo Island. The closest airport to the island is Tawau Airport and the island is reachable via a speedboat, taken from the resort you are staying. The best time to visit Sipadan is between April and November. 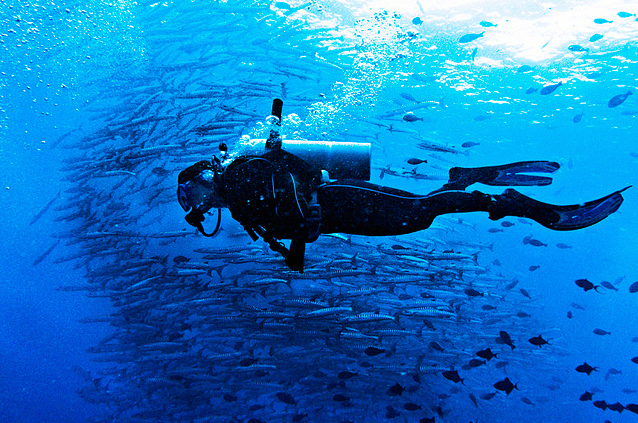 Diving is very synonymous to the island. It is the main activity there. 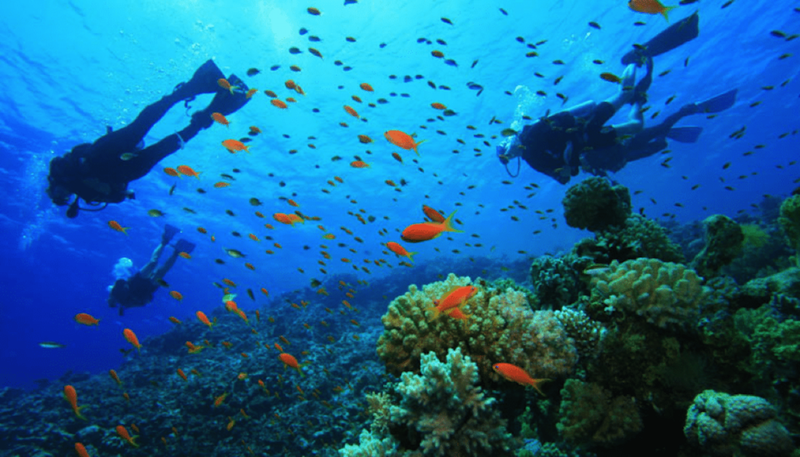 Diving lovers from all around the world seek to dive here at least once in their lifetime! There are also other activities for regular visitors such as snorkeling, swimming, and bird watching. 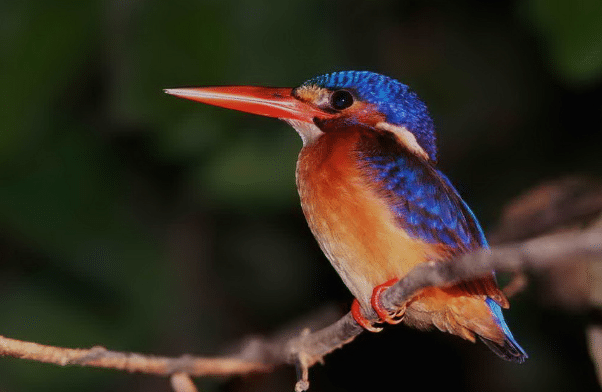 It is rich with tropical birds like Sunbirds, Kingfishers, Starlings and Wood Pigeons. 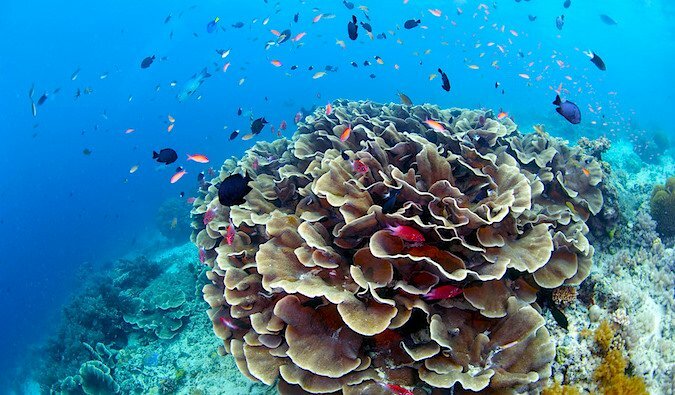 One of the most important things that you need to know about Sipadan is the island is very much protected. There are only 120 diving permits available on a daily basis, which can be attained at the dive center at your resort. And, you are not allowed to dive more than 40 meters below the sea level. Sipadan is famous amongst divers because there up to 12 diving sites around the island and each one of them is not disappointing at all. Among them are Barracuda Point, Hanging Gardens, Turtle Cavern, Turtle Tomb, and much more. The Barracuda Point has been dubbed as one of the top 10 best diving sites in the world! On your lucky day, a huge school of Barracuda fish could be sighted creating a tornado whirl – it’s the ultimate underwater world fish show! Plus, some of the dive sites are very near to the main island. You can either take a speedboat, which will take several minutes, or you can even swim to the nearest pier of the diving center – yes, that close! Do you know that visitors are not allowed to stay on the island itself? It is due to the strict protection policy imposed by the local authority in order to preserve the island. 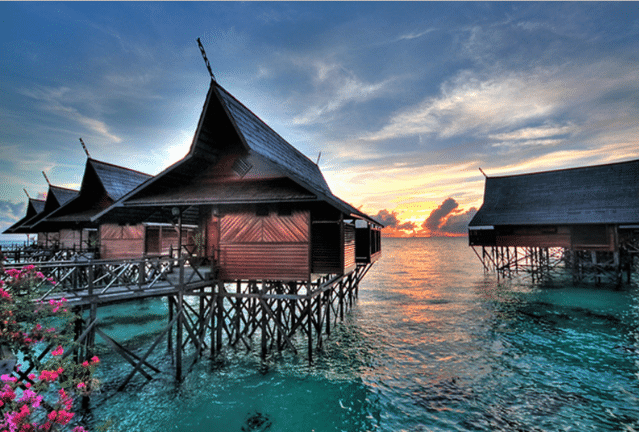 However, there are quite a number of resorts that you can stay if you would like to go on a diving trip to Sipadan. They are affordable and located near the island. 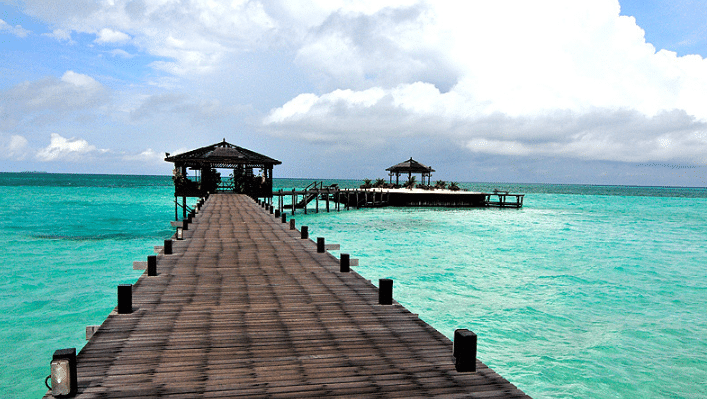 Sipadan Kapalai Dive Resort, for example, is located over the water near the island. Pretty cool and yet, very environmentally friendly. Since the Muslim friendly Sipadan island is located in Malaysia, finding a local Halal food is not an issue. Now, you can’t really find food on the island itself, but if you are staying at the nearby resorts in Mabul or Semporna, there are plenty of halal restaurants for you to choose from. Restoran Bawang Merah Bawang Putih, Mabul Café, and Bismillah Restaurant are some of them. The marine life in Sipadan is quite out of this world. Here, you can see and swim with many exotic species. The most famous are the hawksbill and green turtles as well as hammerhead sharks. And, of course, there are also barracudas, manta rays, octopus, jackfish…you name it – they are all there! In fact, hundreds of coral species and over 3,000 species of fish call this island their home. If you are an advanced diver with a cave diving certification and looking for some serious underwater adventure, the Muslim friendly Sipadan island has something for you – the Turtle Tomb. It is one of the 12 diving spots near the island that is located near another dive site, Turtle Cavern. Here, you will find skeletons of turtles. 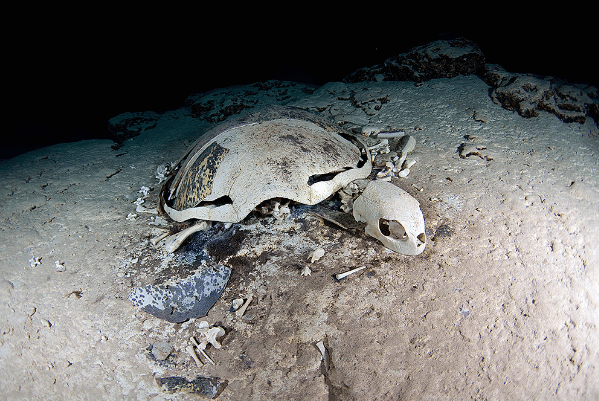 The story has it that these turtles had entered the cave, could not find the exit and died there. It’s spooky, alright! Mabul Island is like the little sister of Sipadan. It is located only 30 minutes away by boat. If you are done diving around Sipadan, there’s always Mabul for you to explore. 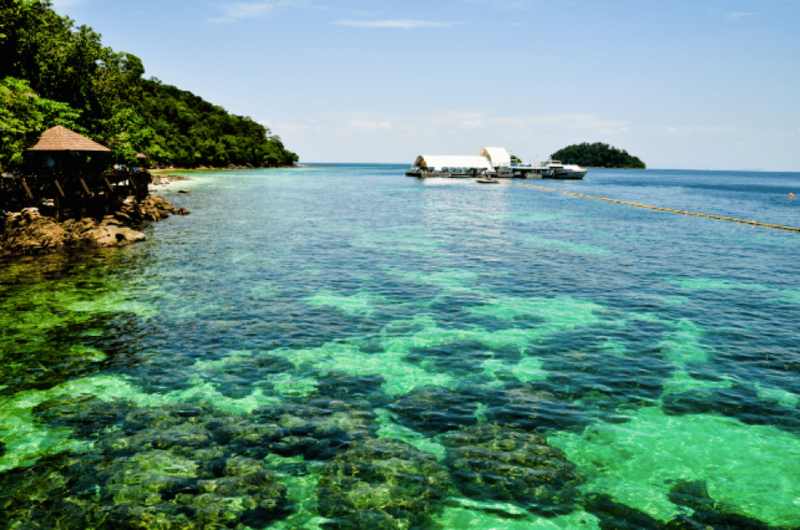 This neighboring island offers one of the best muck diving experience in the world! It is also a great place for those who enjoy doing underwater photography. Sipadan is, just like the Maldives, a piece of heaven on earth! The beauty of the place, as well as its biodiversity, are like no other. Plan a trip to this gorgeous island and enjoy the best time of your life here – either for leisure or for honeymoon!